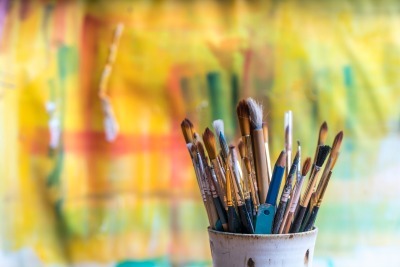 If you foster a deep appreciation for the arts, then Greenwich, CT is your ideal destination! In addition to various art galleries and museums, our historic New England town is also home to the Brant Foundation Art Study Center. This one-of-a-kind gallery lends works to more than a dozen exhibitions per year and strives to promote education and appreciation for contemporary art and design. It’s every art lover’s dream destination! The Brant Foundation Art Study Center is just one of the many places to immerse in the local art culture. Request your free copy of our Greenwich Vacation Guide right now for a full list of galleries, museums, and other attractions you won’t want to miss during your stay with us! The Brant Foundation Art Study Center was designed by Richard Gluckman with the mission to promote public education and appreciation for the arts. In order to achieve this goal, many of the works within the gallery are made available to institutions and individuals for scholarly study and examination. What makes the collection in the Center so unique is that scores of artists are represented in depth. This includes works from the beginning of their practice all the way to their most recent achievements. Tours of the exhibitions are offered daily and are completely free of charge! These tours give you the chance to learn more about the artwork you’ll find and receive information on the center that most visitors wouldn’t know. Book a tour of the Brant Foundation Art Study Center today! Throughout the year, there are many fantastic events to experience at the Brant Foundation Art Study Center. With open houses, sketch nights, free arts days, and visits from popular artists, you’ll have plenty of options for getting involved and learning more about various subjects. Check the website regularly to find which upcoming events you have to look forward to. 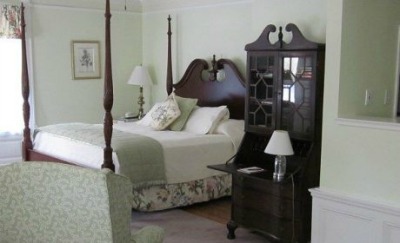 Our luxury bed and breakfast is recognized as one of the most romantic getaways near NYC. 20 gorgeous guestrooms are adorned with historic charm and all the modern amenities you desire in a comfortable stay. We are located just steps from the historic district’s art galleries, restaurants, and shopping! It’s everything you need and more to make memories that will last a lifetime. Book your stay today and download our free Vacation Guide to help you start planning your next escape to New England.